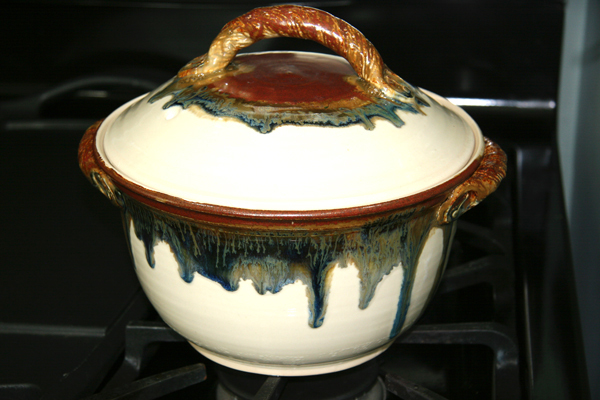 Beautiful and Functional Vegetable Steamer by Grim Pottery! 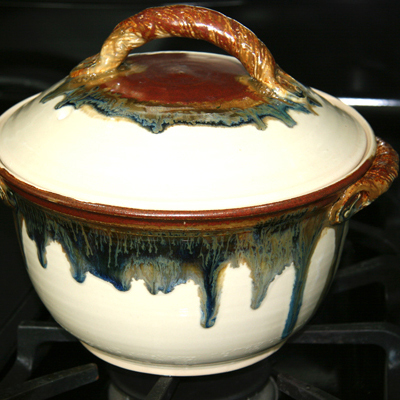 I am excited to share with you pictures of my new vegetable steamer created by Virginia potter, Debbie Grim Yates of Grim Pottery. It is both beautiful and functional. 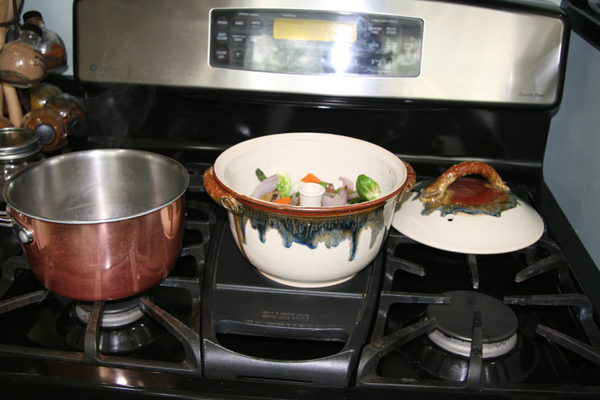 Just add a couple inches water to a medium stock pan. 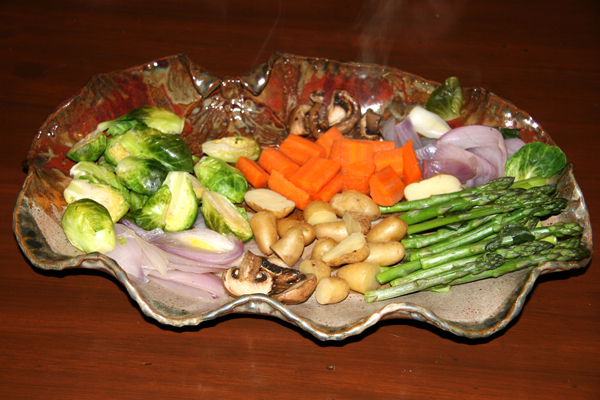 Set the steamer on top and fill it with your favorite steamed veggies and put on the lid! 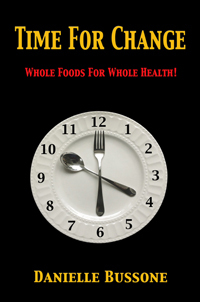 You may want to put in your longest cooking veggies first, such as carrots and potatoes and add the quick cookers a little later. 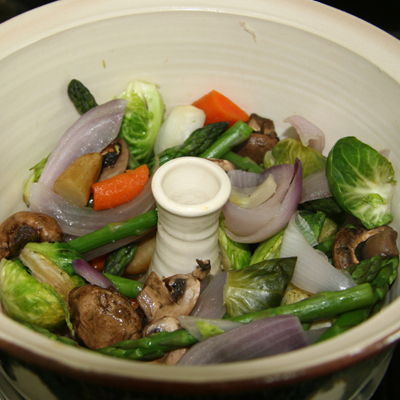 Bring to a boil and in a few minutes you have wonderful steamed veggies. The steamer is so lovely, you can serve directly from it. 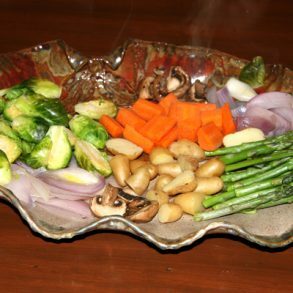 What I like best about it is you don’t lose the wonderful nutrients which are released from the vegetables as they cook. 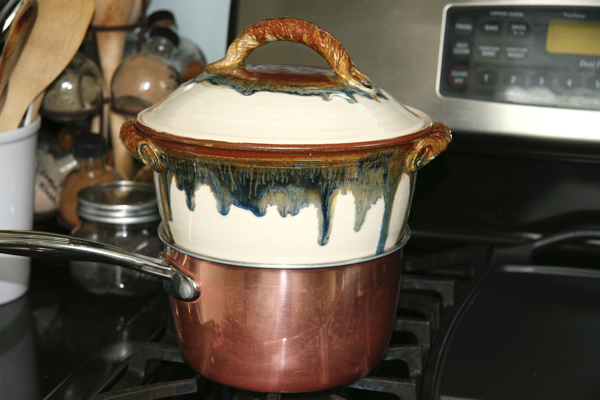 Most steamers have holes in the bottom so these nutrients are lost into the water of the sauce pan. 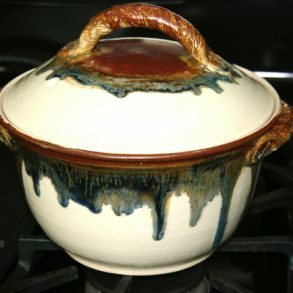 In this one, the steam is released in a hole in the lid and the juice from the vegetables is saved with the vegetables. This has become my favorite new cooking tool! 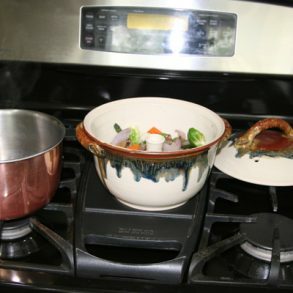 Where can I buy this steamer? You can contact her through her Facebook page. You’ll love her work. I have many pieces of her pottery.